Rarely offered real-photo team composite postcard of the Chicago White Sox from the 1908 American League Publishing Team Postcard series. This is one of the most desirable team postcards of the era. The postcard features composite portrait images of nineteen team members, including Hall of Famers Ed Walsh and George Davis, with manager Fielder Jones in the center. Players are identified along the base of the postcard. Graded POOR 10 by SGC (submitted by REA), the obvious condition flaws include heavy creasing, several stains on the front and back, and even wear on the corners. 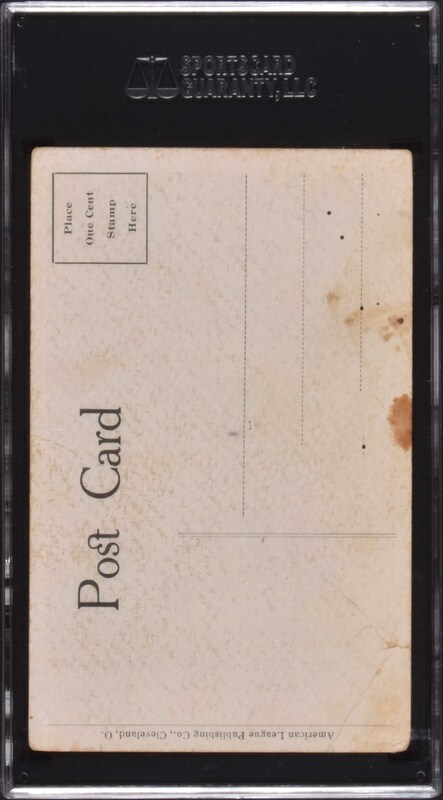 The traditional postcard reverse is not addressed or mailed. 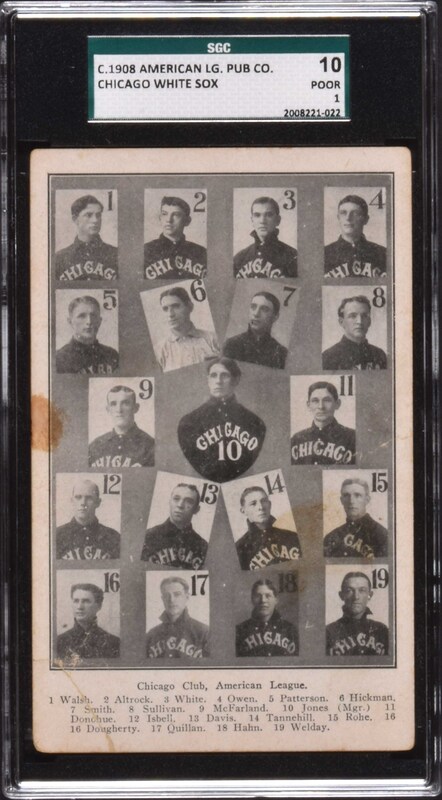 This is a extremely rare postcard worthy of any Chicago White Sox, postcard, or prewar-card collection. Reserve $200. Estimate (open).